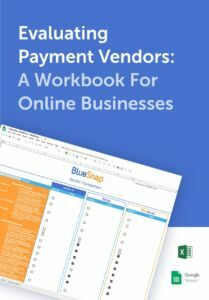 WALTHAM, MA – December 11, 2014 – Global payment gateway BlueSnap today released new Coupon and Bank Transfer APIs that will help merchants increase sales and convert shoppers this holiday season. The Coupon API allows merchants to manage their own coupon library while the Bank Transfer API will allow shoppers to pay for online goods by transferring funds directly from their bank accounts. The new APIs are added to BlueSnap’s robust library as they continue to build the most comprehensive and flexible APIs in the market. According to Deloitte’s Annual Holiday Survey, 73% of consumers say coupons and promotions will influence their holiday purchases. BlueSnap merchants will now be able capture more holiday sales and year-round conversions by issuing their own deals and promotions. The coupons are easy to manage via the BlueSnap SnapConsole, and merchants can issue a variety of coupon types including percentage off order total or product, deal of the day, and seasonal and holiday promotions. BlueSnap’s Coupon API validates a coupon code as it is entered on shopping cart page and immediately applies the discount to the cart total. With the Bank Transfer API, merchants can now allow shoppers to pay for goods and services by directly transferring funds from their bank account. It is an ideal payment option for users with credit cards limits, or shoppers from countries like India and Germany, where credit cards are less commonly used for online purchases.